Tattooing as you like it release party! Yellow Beak Press will be hosting a book release party tomorrow night, Saturday June 16th at the Denver Press Club in Denver Colorado for their eagerly anticipated “Tattooing as you like it: the legacy of Milton Zeis” book. We’ve posted updates on the book several times and I’m really happy that it’s finally here. So if you’re near Denver…. consider checking out the event and supporting Scott and Kayla, and thank them for the hard work they’ve put into this project. I’ve seen a lot of the paintings that will be featured in (the coming very soon) ‘Tattooing as you Like It” but there’s just something rad about seeing the physical book; Scott of Yellow Beak Press dropped this photo on his facebook page today…. his advanced copy is in which means the wait is almost over. If you haven’t ordered your copy yet you really should. This is going to be one of those books that ends up being highly sought after once it goes out of print. Will the real Milton Zeis please stand up? 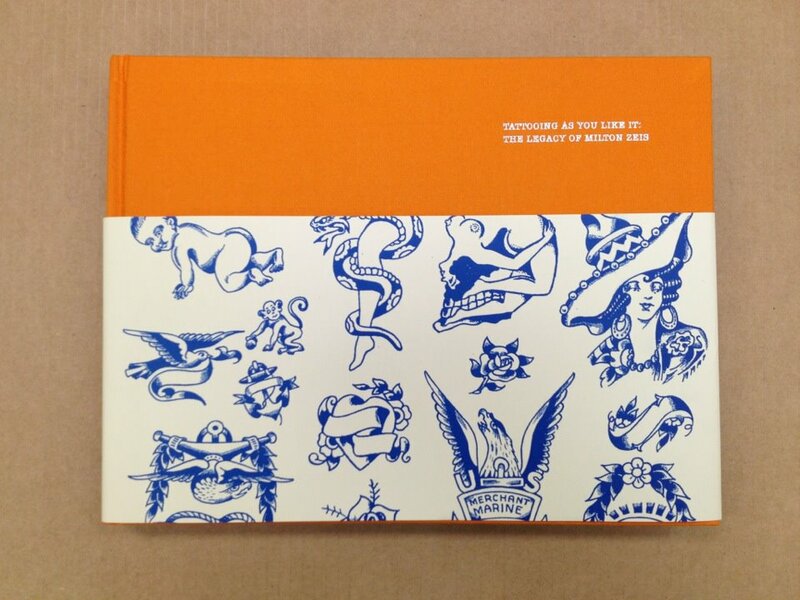 Milton H Zeis // Tattooing As You Like It // Book promo from Andy Mitchell on Vimeo. Scott from Yellow Beak Press just sent over this promo video for the “Tattooing as you like it” book that’s scheduled to come out in 2012. The short clip features Milton appearing on the gameshow ‘To Tell the Truth’ as well as some of the repaints that Scot has lined up for the book. I get more and more excited about this book every time Scott sends me a new email; preorder will be available soon and trust me- you’re going to want to get in on it so you don’t have to pay triple the price on eBay later on. Milton Zeis- Tattooing as you like it. Yellowbeak Press 2012. 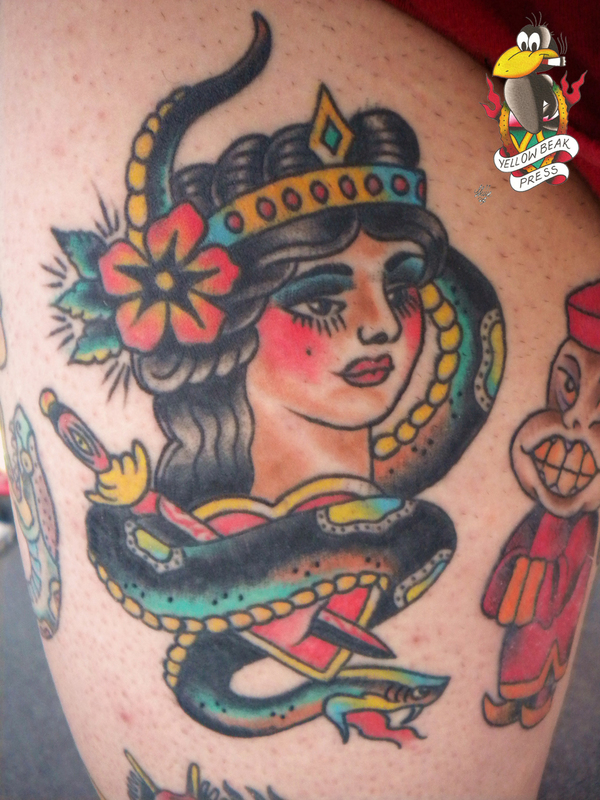 The tattoo above is a Zeis design tattooed by Jef Whitehead. 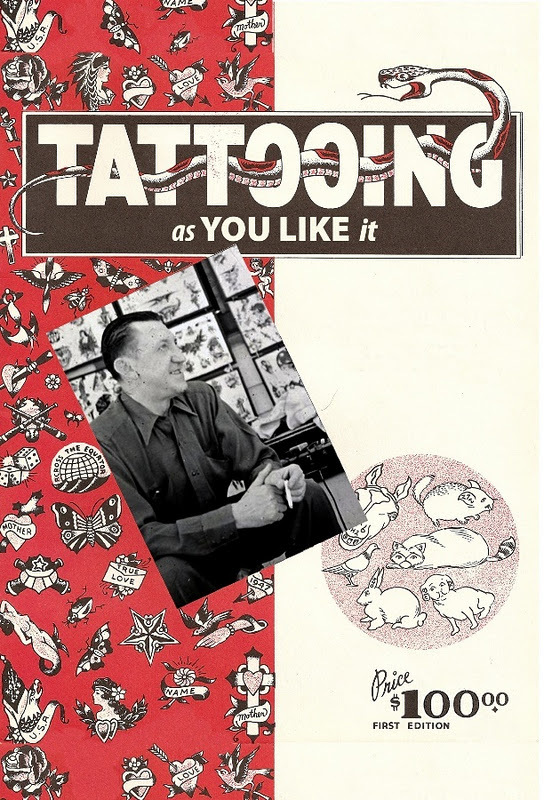 Yellow Beak Press is ‘A book publisher that is dedicated documenting and preserving tattoo history’ and it’s on track to release one of the most promising books of 2011- a history of supplier/tattooer/magician Milton Zeis. Not only will the book feature classic flash by Zies and company, but publisher/editor Scot Boyer has reached out to the tattoo community for repaints of the featured designs. He’s shown me sneak peaks of some of the repaints; I can’t wait to be able to sneak a few pages on the OV blog… I can guarantee you’ll be as excited about the project as I am. If you’re on the Facebook you can “like” Yellow Beak Press here and be kept up to date on the status of the project. I can only hope that the Zeis book won’t be the last offering from Yellow Beak Press! 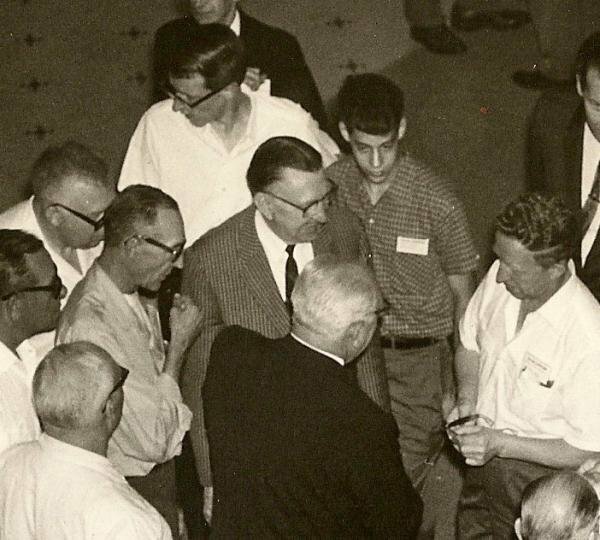 Milton Zeis (center, pinstripe suit) at the ‘International Brotherhood of Magic’ Convention. My friend Scott is working on a book about tattooist/supplier Milton Zeis (1901-1972) and was kind enough to send over this image of Milton at the IBoM Convention, probably circa 1950s. Scott and his partner Kayla are really doing this up right; check back for more info as the book gets closer to completion.